A romantic evening at home with sake for two. The Japanese character for "ai" (love) on the bottle says it all. Declare love with this gift if the words are hard to find! This Sake Set includes one sake bottle and two sake cups packaged in a gift box for easy giving. One ribbon and you're done! 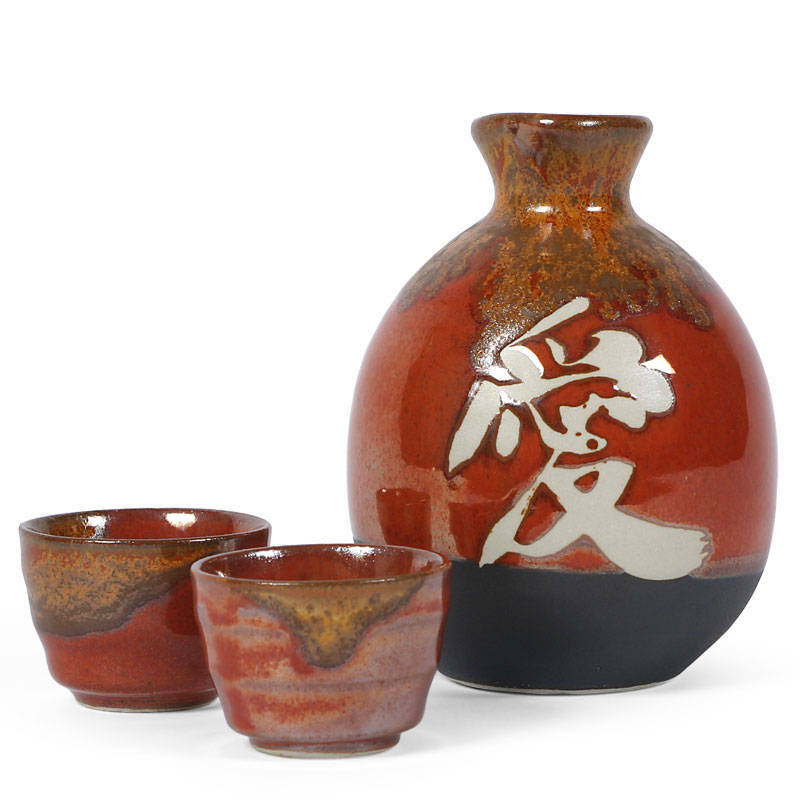 Sake bottle: 3.5" diameter x 5"h; 14 oz. capacity.